It was Sunday afternoon, the sun was shining, and I had a decision to make. I had about three hours of daylight before the winter sun set – where did I want to spend it? The local state parks were too far, and the wind was blowing like crazy along the beaches. Luckily there was a small but beautiful option nearby: Oak Tree Nature Park. About ten minutes from my house, Oak Tree Nature Park was first opened to the public in the beginning of the 21st century, and encompasses 25 acres with a mile-long loop trail. Big it is not, but it still serves as a green space for joggers, wildlife viewers, and dog-walkers, while preserving important Florida habitat. 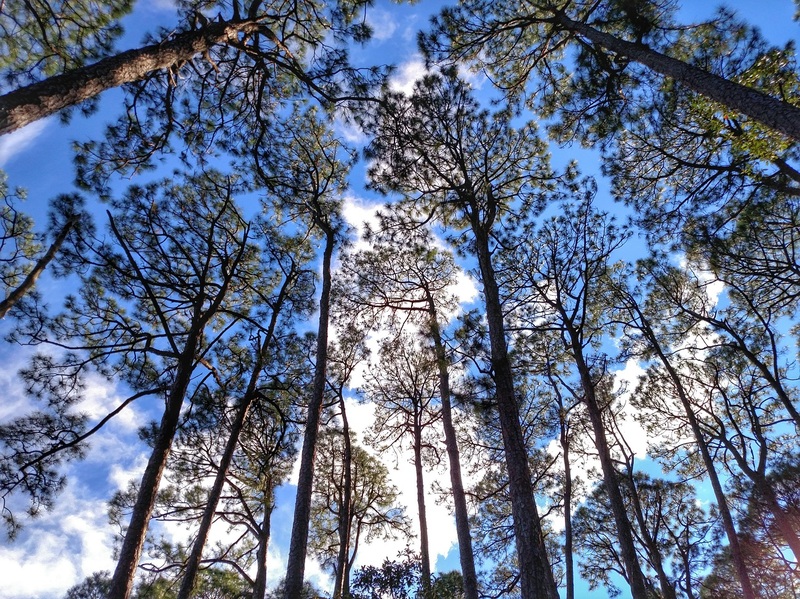 As I walked, I arched my neck to take in the tall forms of the pines in the overstory, while reaching out and touching the leaves of the shorter saw palmettos, wax myrtle, and sparkleberry. Squirrels chased each other in the dry leaves on the forest floor, and Northern Cardinals and Blue Jays called back and forth. Because the path was short I made three loops, striding around for more than an hour. Though my environment is definitely classified as suburban, I experience many of the same benefits when I can access a green space (with walking trails!) near my home. Additionally, as I made my loops I saw multiple families with their kids, showing how these easily accessible suburban parks can introduce children to nature in a way that is easy to manage for their parents; unfortunately we can’t all get to Yellowstone or Yosemite on a regular basis. While it’s true that many of these city or county parks are small, their benefits are huge. Great read, Erika! I never knew what sparkleberries were until now. The Japanese have a word for the therapeutic effects of being out in nature. They call it “shinrin-yoku,” which means, literally, forest bathing. In Michigan, we’re familiar with this concept. Such a beautiful point 🙂 nature is my happy place so I love this post! I agree with you about the importance of bringing nature into urban areas. Oak trees are beautiful and so important because of all the animal life they support.